FOR IMMEDIATE RELEASE – Thursday 3rd January 2019 (St John’s, Antigua)…The relationship established last season, between the Central Basketball Association (CBA) and the Antigua and Barbuda Basketball Association (ABBA), is set to continue for a second consecutive year. 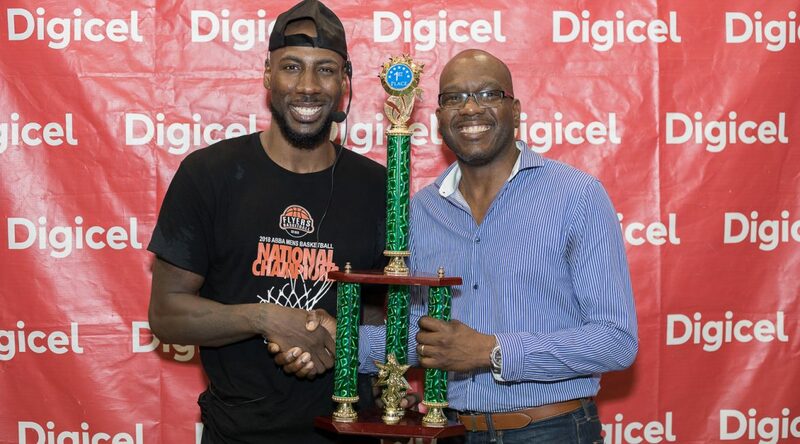 Last year, seven players from the CBA programme in the United States joined Division One teams participating in the 2018 Digicel ABBA League. Preparations are currently underway for the programme to continue for the 2019 Basketball Season with new and returning CBA players. Set to return this year are Jermaine Bolden, who played last season for the 2018 League Champions, F&G Trading Cuties Ovals Ojays; Isaac Bragg who played for Ottos Full Throttle, and 2018 Co-Playoffs MVP, Torrey Fassett, who played for the 2018 Playoffs Champions, Flyers Basketball. In addition to this, seven new players will be joining the local basketball fraternity. These include Troy Vasco (27 years old; Forward), Chris Outing (26 years old; Forward), Antonio Wilson (25 years old; Forward), Ronald Lucas III (24 years old; Guard), James McCombs (35 years old; Guard), Darius Daniels (21 years old; Guard) and Dontarion Wright (23 years old; Guard). This year, the CBA Player selection will be done via a draft system. CBA players from last season have the option of returning to their 2018 team without going through the draft. However, if the player or team decides to terminate the relationship, the player will then go into the draft pool. The selection of a player is not mandatory, and as such, if a team does not participate in the CBA draft, the selection goes to the next team in line. The draft selection will be done in two rounds in order of the lowest ranking team to the highest ranking team. Each team will have one selection in each round until there are no more players remaining, or after all teams have had two chances of selection. Each team is allowed a maximum of two CBA players. If a team has two CBA players returning from the 2018 season, they automatically forfeit their entire draft pick. If a team has one CBA player returning, they will only have one pick in the second round of the draft, in order of the rankings. Prior to the draft selection, the Association will host a scrimmage on January 12th and 13th against the National Senior Men’s Training Squad. At the end of the draft, CBA Players that are not selected by any team will return to the United States.